In anticipation of the Tony eligibility deadline, which was April 26, a slew of shows opened this week. Monday saw the opening of both Ghost and The Lyons. Nice Work if You Can Get It, a "new" show full of Gershwin tunes and starring Matthew Broderick and Kelli O'Hara, opened Tuesday night. MTC's production of The Columnist, starring John Lithgow, opened Wednesday. Roundabout's Don't Dress for Dinner, a sequel to Boeing Boeing, opened Thursday. And now, we wait on tenterhooks until Tuesday, when the Tony nominations will be announced. You can log on to tonyawards.com to watch the announcement at 8:30 am. The Outer Critics Circle Awards nominees were announced this week. These will give us a mere hint at what we might expect on Tuesday when Tony nominations are announced. This morning we learned about the Drama Desk Awards Nominees. Also honoring both Broadway and off-Broadway, these seemed to break from award tradition and remember shows and performances from early in the season. Visit my Tumblr for the full list of nominees. All other eligibility is consistent with opening night credits. (This means that actors billed above the title, such as Raul Esparza in Leap of Faith, are eligible in the Leading Actor/Actress categories, and all other performers in the Featured Actor/Actress categories.) Broadwayworld.com has more rulings and details. The powerful The Normal Heart, which had an acclaimed revival on Broadway last season, will embark on a national tour, set to to launch at DC's Arena Stage this June. Patrick Breen, who appeared in the Broadway production as well as the beautiful Next Fall, will take on the lead role of Ned Weeks. Visit Playbill for details, and head to arenastage.org to purchase tickets for the DC run. 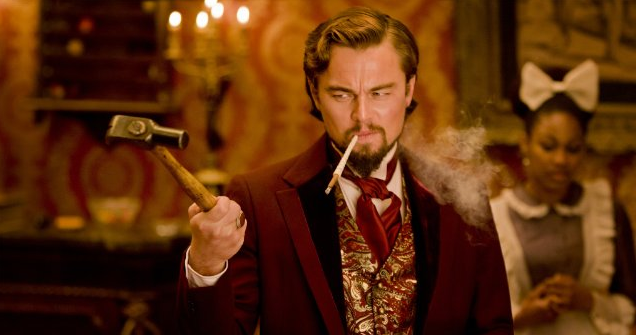 We saw the first photos of the new Quentin Tarantino film, Django Unchained this week. IMDB describes the new flick as such, "With the help of his mentor, a slave-turned-bounty hunter sets out to rescue his wife from a brutal Mississippi plantation owner," and shared these photos (like the one at the top of this post). It's Tarantino, which is a good enough start, and has an excellent cast, including Leonardo DiCaprio, Jamie Foxx, Christoph Waltz and Sacha Baron Cohen. Stay tuned for details on this film, which is due for release this winter. Broadway.com checked in with Topher Grace, currently starring in Second Stage's world premiere production of Paul Weitz's Lonely, I'm Not. Casting news: Russell Crowe boards the ark to play Noah, the titular character of Black Swan director Darren Aronofsky's latest film. The Wrap has details. Josh Charles dishes on the season three finale of The Good Wife, which airs this Sunday night.